We specialise in the sale, leasing and contract hire of 6 seat Ford Custom T270 DCIV Crew Vans. From the SWB L1 to the LWB L2. BIG DISCOUNTS & FREE UK DELIVERY. 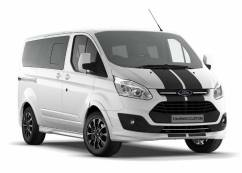 We specialise in the sale, leasing and contract hire of 6 seat Ford Custom T290 DCIV Crew Vans. From the SWB L1 to the LWB L2. BIG DISCOUNTS & FREE UK DELIVERY. We specialise in the sale, leasing and contract hire of 6 seat Ford Custom T310 DCIV Crew Vans. From the SWB L1 to the LWB L2. BIG DISCOUNTS & FREE UK DELIVERY. We specialise in the sale, financing & leasing of 9 seat Ford Custom Kombi Minibuses. SWB & LWB. BIG DISCOUNTS & FREE UK DELIVERY. We specialise in the sale, leasing & contract hire of Ford Ranger LIMITED Double Cab Pickups. BIG DISCOUNTS & FREE UK DELIVERY. We specialise in the sale, leasing & contract hire of Ford Ranger WILDTRAK Double Cab Pickups. BIG DISCOUNTS & FREE UK DELIVERY. We specialise in the sale, leasing & contract hire of Ford Ranger XL Double Cab Pickups. BIG DISCOUNTS & FREE UK DELIVERY. We specialise in the sale, leasing & contract hire of Ford Ranger XLT Double Cab Pickups. BIG DISCOUNTS & FREE UK DELIVERY. 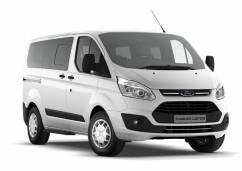 We specialise in the sale, financing, leasing and contract hire of the Ford Transit 11 Seat Minibuses - T350 & T370. BIG DISCOUNTS & FREE UK DELIVERY. We specialise in the sale, financing, leasing and contract hire of the Ford Transit 12 Seat Minibuses T350 & T370. BIG DISCOUNTS & FREE UK DELIVERY. We specialise in the sale, financing, leasing and contract hire of the Ford Transit 14 Seat Minibuses. BIG DISCOUNTS & FREE UK DELIVERY. We specialise in the sale, financing, leasing and contract hire of the Ford Transit 15 Seat Minibuses. BIG DISCOUNTS & FREE UK DELIVERY. We specialise in the sale, financing, leasing and contract hire of the Ford Transit 17 Seat Minibuses. BIG DISCOUNTS & FREE UK DELIVERY. We specialise in the sale, financing & leasing of 17 seat Ford Wheelchair Accessible Minibuses. FREE UK DELIVERY. We specialise in the sale, financing, leasing and contract hire of the Ford Transit 18 Seat Minibuses. BIG DISCOUNTS & FREE UK DELIVERY. Minibus Insurance advice for organisations, business and schools. Save money on your minibus insurance! Here we show all of our minibus only contract lease deals available at the moment. We specialise in the sale, leasing & contract hire of ACENTA Double Cab Nissan Navara Pickups. BIG DISCOUNTS & FREE UK DELIVERY. We specialise in the sale, leasing & contract hire of ACENTA+ Double Cab Nissan Navara Pickups. BIG DISCOUNTS & FREE UK DELIVERY. We specialise in the sale, leasing & contract hire of N-CONNECTA Double Cab Nissan Navara Pickups. BIG DISCOUNTS & FREE UK DELIVERY. We specialise in the sale, leasing & contract hire of TEKNA Double Cab Nissan Navara Pickups. BIG DISCOUNTS & FREE UK DELIVERY. We specialise in the sale, leasing & contract hire of VISIA Double Cab Nissan Navara Pickups. BIG DISCOUNTS & FREE UK DELIVERY. SWB & LWB NV300 Acenta. We specialise in the sale, financing & leasing of the 9 seat Nissan NV300 Combi Acenta 2700 Minibus. BIG DISCOUNTS & FREE UK DELIVERY. SWB & LWB NV300 Acenta. We specialise in the sale, financing & leasing of the 9 seat Nissan NV300 Combi Acenta 2900 Minibus. BIG DISCOUNTS & FREE UK DELIVERY. SWB & LWB NV300 Tekna. We specialise in the sale, financing & leasing of the 9 seat Nissan NV300 Combi Tekna 2900 Minibus. BIG DISCOUNTS & FREE UK DELIVERY. SWB & LWB NV400 Minibuses. We specialise in the sale, financing & leasing of the 9 seat Nissan NV400 Combi Minibus. BIG DISCOUNTS & FREE UK DELIVERY. PCV (PSV) Minibus advice, buying tips and latest minibus offers for PCV operators and businesses. We specialise in the sale, financing & leasing of the 15 seat Peugeot 3500 Minibus. DEMONSTRATIONS & FREE UK DELIVERY. 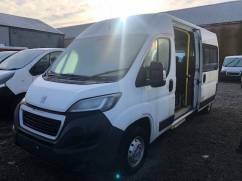 We specialise in the sale, financing & leasing of the 16 seat Peugeot 3500 Minibus. DEMONSTRATIONS & FREE UK DELIVERY. 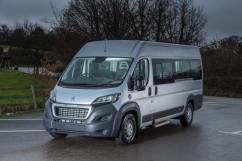 We specialise in the sale, financing & leasing of the Peugeot Boxer Minibus. DEMONSTRATIONS & FREE UK DELIVERY. We specialise in the sale, leasing and contract hire of the Renault Master LM39dci 17 Seat Minibus. BIG DISCOUNTS & FREE UK DELIVERY. We specialise in the sale, leasing and contract hire of the Renault Master MM35dci 9 Seat Minibus. BIG DISCOUNTS & FREE UK DELIVERY. We specialise in the sale, leasing and contract hire of the LL29 LWB Renault Trafic 6 seat Crew Van. Whether it be a Sport, Business or Business plus. BIG DISCOUNTS & FREE UK DELIVERY. We specialise in the sale, leasing and contract hire of the SL27 SWB Renault Trafic 6 seat Crew Van. Whether it be a Sport, Business or Business plus. BIG DISCOUNTS & FREE UK DELIVERY. School Minibus advice, driving and buying tips and latest minibus offers for schools. Section 19 Minibus Permits advice, buying tips and latest minibus offers for your organisation. Minibus discounts and finance deals for the Taxi and private hire industry. Visit here for our latest deals and DISCOUNTS. Big discounts on the Vauxhall Vivaro LWB 9 seat Combi. Free UK Delivery. Big discounts on the Vauxhall Vivaro SWB 9 seat Combi. Free UK Delivery.